FINAL SALE. 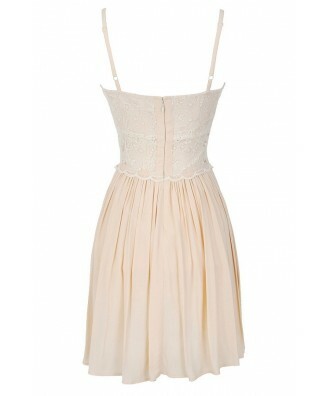 This flirty dress is perfect to toss on when you want to look like a million bucks with minimal effort. The Peace and Love Crochet Floral Lace Dress is lined at the bust and below the waist, but has a panel below the bust that is semi-sheer. 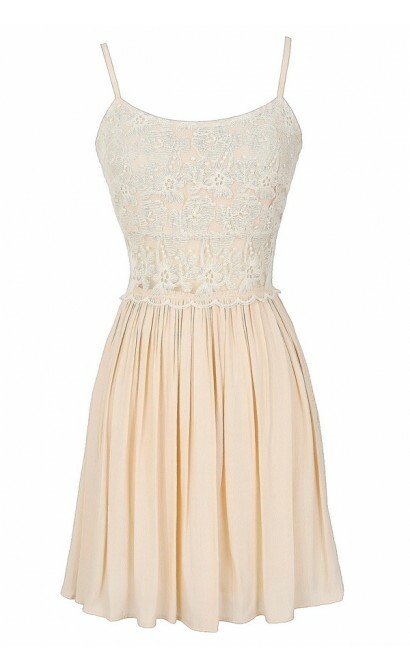 Crochet lace at the bust adds a feminine touch, while the fit and flare skirt flatters. An invisible back zipper and adjustable spaghetti straps complete this pretty look. 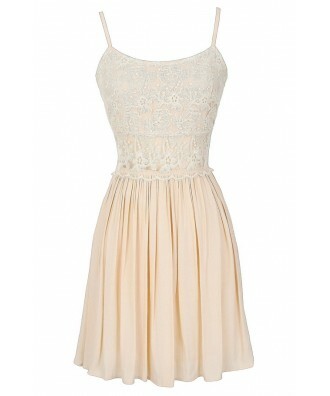 The Peace and Love Crochet Floral Lace Dress is perfect to wear with flat sandals for a laid-back casual look. This is a great boho-chic concert or festival look. Or you can dress it up and make it girly by pairing it with pumps or heels—this is a great dress to pack on vacation because it can be worn day and night. Details: Lined at bust and skirt. Invisible back zipper. Adjustable spaghetti straps. 100% cotton. Lining: 100% polyester. Hand wash cold water separately. Color will bleed. No bleach. Hang to dry. Small measurements: Length from top of bust to hemline: 30”. Bust: 32-34”. 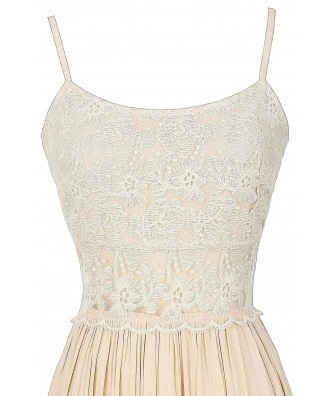 You have added Peace and Love Crochet Floral Lace Dress in Cream into Wishlist. 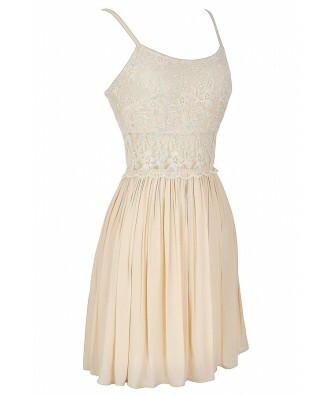 You have added Peace and Love Crochet Floral Lace Dress in Cream for Stock Notification. 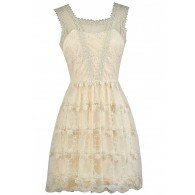 You have set Peace and Love Crochet Floral Lace Dress in Cream as a loved product. 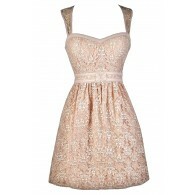 You have removed Peace and Love Crochet Floral Lace Dress in Cream as a loved product.